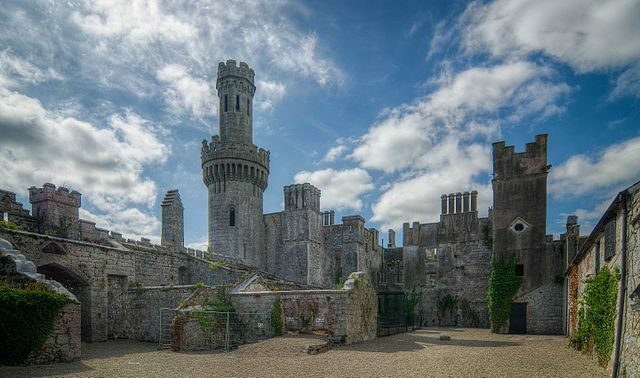 It is believed that the voices of the past and the ghosts of their owners haunt the high tower and the grounds of the roofless shell of Duckett’s Grove. 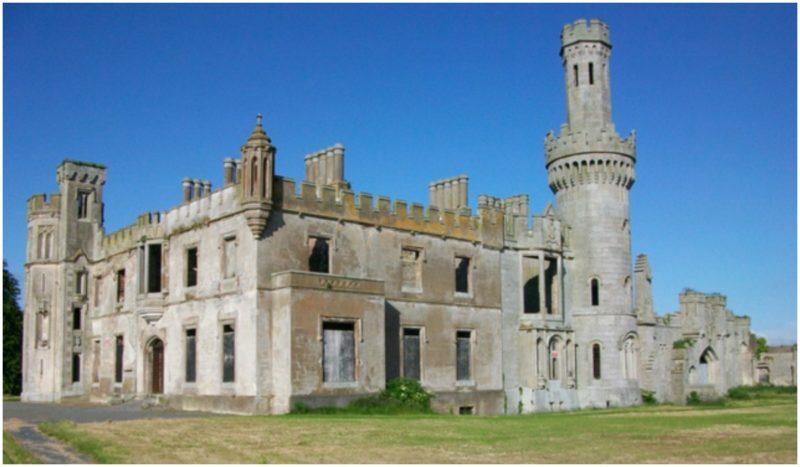 The eerie atmosphere and spooky stories that shroud the skeletal ruins of this once magnificent Gothic mansion, built in the first half of the 19th century, are probably the main reason for the mystery and fantasy that arise from these beautiful remains, located in Carlow County, Ireland. The ruined country house nestled in the middle of a large family property that covers approximately 12,000 acres was, for many decades, the residence of the Duckett family. Now the surviving walls silently tell the ups and downs of a family that was driven by earthly pleasures. The house was built in the Gothic Revival architectural style on the place of an older two story house, and for nearly 100 years it was the largest home in the area. But unfortunately a devastating fire, and later the forces of nature, left the structure in ruins. In 1695 Thomas Duckett came to the area and bought a plot of land. Later, he married a wealthy heiress. As the wealth and power of the Duckett family rose, so did the house. At first, it was a small, simple, country house. During the 18th century it was reconstructed and enlarged. It was completely renovated from 1818 until 1830, changing it to look like a “real” castle. It was remodeled with majestic towers and turrets in octagonal, round, and square shapes, arches, high chimneys, statues, and grotesque decorations on the facade. In fact, when the family became notable in society, they wanted their home to be a representation and a recognizable symbol of their high social status. The author of the new face of the mansion was the architect Thomas A. Cobden, who put into reality the wishes of the owner, John Dawson Duckett. Later the house and the property was owned by his son, William Duckett. William Duckett enjoyed organizing many glamorous parties in his property, with famous guests from Dublin, until his death in 1908. He didn’t have any kids and his second wife, and widow, couldn’t maintain the house. She abandoned it in 1916 and moved to Dublin. After that, the property was managed by an agent and local farmers. 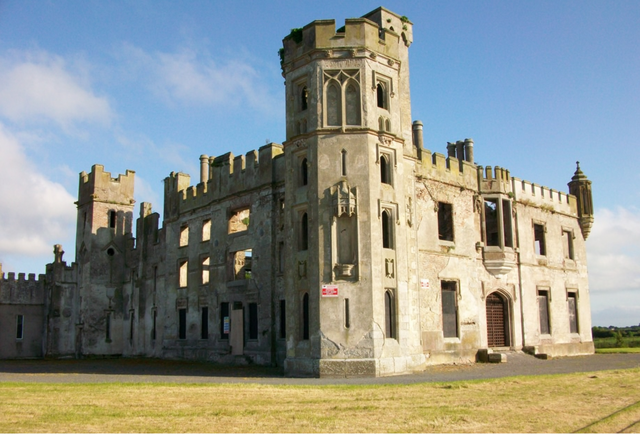 The abandoned house was used for a while in the early 1920s as a training center for the forces of the IRA. In 1933 it was seriously damaged by a catastrophic fire and for more than 70 years was left to decay. Carow County Council took over care of the place in 2005, and some parts were preserved and restored. 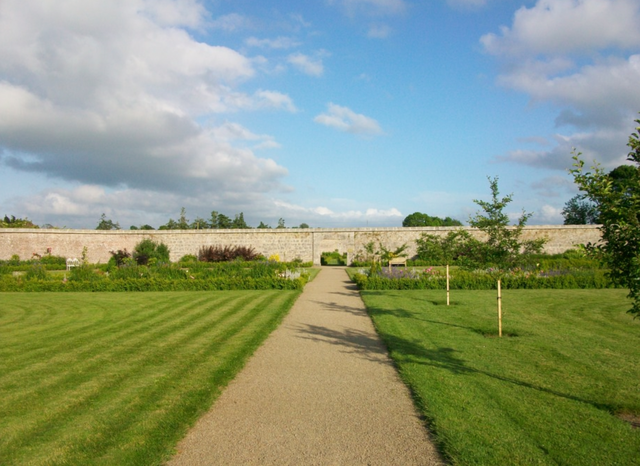 The walled gardens which surround the ruins became a public park filled with many fruit trees, roses, lavenders, and other plants, and the mansion’s outbuildings were converted into a tearoom and several handicraft workshops. But the place is notable because of the many reports of ghostly activities. 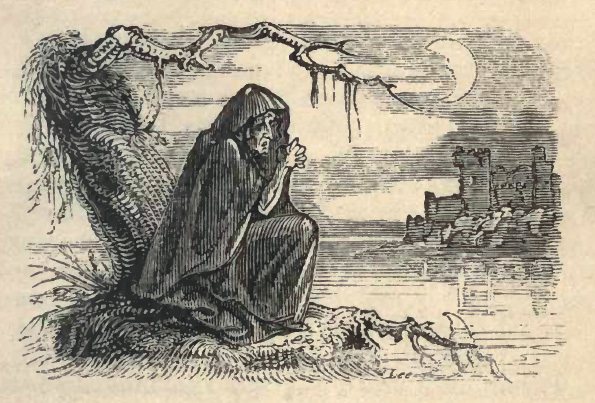 It is said that it is home to a banshee, which, according the Irish mythology, is a female ghost or fairy woman that attaches to some place, family, or property after a Piseog (an Irish curse) was placed on them. And William Duckett was, so the stories say, in a secret love affair with a young woman who died tragically on the property after a falling from a horse. Her mother cursed William, his family, and his house and property. According the myth, the curse made the ghost of the woman become trapped in this world. The strange sounds and noises that came from the top of the tower, which supposedly are from the wailing banshee, the mysterious shadows and lights, and even a ghost horse with carriage, which is believed is ridden by the ghost of William Duckett, are just the few of the reported strange occurrences. The haunted reputation of the house made it a perfect set for several movies and TV documentaries for paranormal phenomena. The site is open for the public during the day, but in the night hours it is closed due safety, because some parts of the house are still crumbling and are unsafe for visitors. The whole scene seems like it is frozen in time. 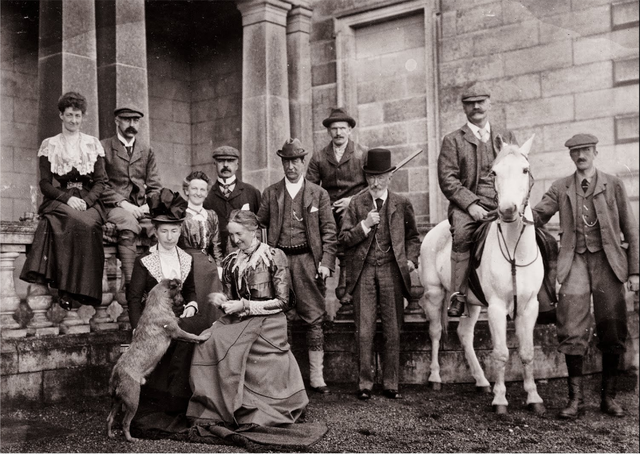 The empty ruined halls give a glimpse onto the social life of the rich people of Ireland from the end of the 19th century and the beginning of the 20th century. There are future plans to organize night tours for those who are interested in the paranormal.